Tartu, the second largest city of Estonia with its ca 100 000 inhabitants in 38.8 km2, is Estonia’s leading centre of education and research. University of Tartu, founded in 1632, is one of the oldest universities in North-Eastern Europe and ranked in the top 3% of the world’s best universities. In total, Tartu is home to 11 higher education institutions and is generally associated with an open-minded and forward-looking academic spirit, a busy start-up scene and good quality of life. It´s a green, safe city where the lively bustle goes hand in hand with natural beauty. According to periodic citizen satisfaction studies, the residents of Tartu evaluate their living environment considerably higher than average. 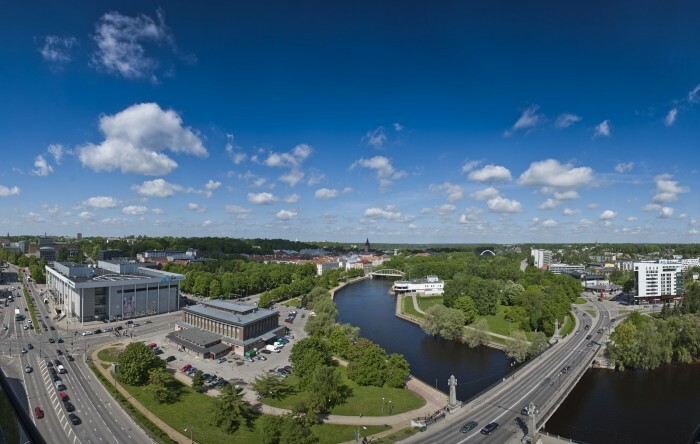 Two-thirds of Estonian biotechnology companies and some of the largest Estonian software companies are based in Tartu and it has long traditions and high competence levels in electronics, engineering, ICT and biotechnology. Of well-known international companies, Tartu is home to Zero Turnaround, Fortumo, Plumbr and Tarmetec. Other innovative initiatives include Buildit Accelerator and Smart City Lab, an electronic and mobile services development cluster where stakeholders include companies, research institutions and the city of Tartu.